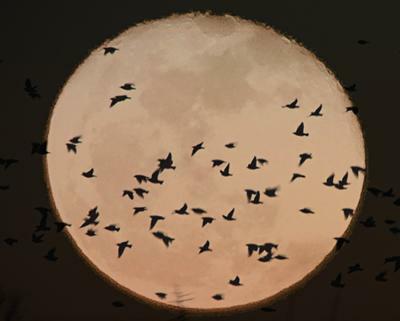 Starlings between the moon and Georgetown, Ontario! Thanks, Marinus, for another amazing picture! I think those were the starlings that just left my bird feeder. Join in and write your own page! It's easy to do. How? Simply click here to return to Backyard Birds of Ontario.